contain a long list of toxic ingredients that can cause permanent damage and death, such as: mercury (thimerosal) in flu vaccines, aluminum, formaldehyde, barium, phosphates, MSG, polysorbate 80, DNA virus, human fetal tissue, monkey kidney cells, calf serum, detergents, etc. Isn't it a conflict-of-interest for HHS and its departments and agencies (including the CDC), to promote and profit from vaccines that it is charged with approving and regulating? Isn't it illegal for HHS and its departments and agencies (including the CDC), to approve and promote vaccines that have not been fully tested for long-term health and safety effects, including cancer, DNA mutation, and fertility (Section 13 in most vaccine package inserts)? Isn't this a violation of the requirements of The National Vaccine Program "to achieve optimal prevention against adverse reactions to vaccines". Isn't it fraud when the CDC recommends against vaccines for those who are not "feeling well", "moderately or severely ill", or a "weakened immune system", yet recommends vaccines for people with Diabetes 1& 2, which the CDC defines as a chronic disease, affecting more than 100 million Americans? https://www.cdc.gov/diabetes/basics/index.html Diabetes is a chronic (long-lasting) disease that affects how your body turns food into energy. There are three main types of diabetes: type 1, type 2, and gestational diabetes (diabetes while pregnant). More than 100 million Americans are living with diabetes (30.3 million) or prediabetes (84.1 million). https://www.cdc.gov/vaccines/adults/rec-vac/health-conditions/diabetes.html People with diabetes (both type 1 and type 2) are at higher risk for serious problems from certain vaccine-preventable diseases. Getting vaccinated is an important step in staying healthy. If you have diabetes, talk with your doctor about getting your vaccinations up-to-date. The earth’s population is suffering from an epidemic of immune dysfunction, developmental disorders, disease, and chronic illness. And although many toxic substances, both natural and man-made, contribute to this epidemic, a major cause is vaccines. Vaccines short-circuit and re-engineer our natural immune system, permanently damaging it in the process. Add to that, a long list of highly toxic ingredients, including mercury and aluminum, and we have a man-made disaster of historic proportions. There is also the threat to National Security to consider. Vaccines provide the perfect Trojan Horse for any would-be enemy. Meanwhile, our military receives more toxic drugs and vaccines than the general population, disabling our active duty soldiers and veterans. The anti-malaria drug, in particular, is at the root of the suicide epidemic plaguing our armed forces, as it mimics PTSD, becoming our modern day version of Agent Orange. But, federal health authorities are more concerned with protecting drug manufacturers than the public health. In 1986 the “Vaccine Court” was established by Congress to protect the vaccine industry from an avalanche of lawsuits. In a move that many consider to be unconstitutional, the U.S. Department of Justice (DOJ) attorneys represent The Department of Health and Human Services (HHS) in Vaccine Court, against public claims of injury. To date, the Court has awarded over $4 billion dollars to victims of vaccines, but that is only the tip of the iceberg. The “passive” reporting system, VAERS (https://vaers.hhs.gov/index), which was also established by Congress, admits to massive under-reporting of vaccine injuries. As few as 1% of all vaccine injuries, including death, may actually be reported, according to activists. 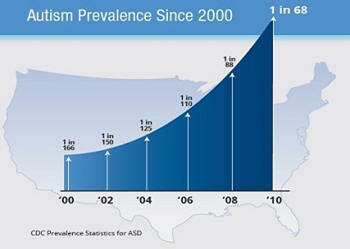 Particularly alarming for parents is the almost-vertical rise in Autism in the United States. It is the unborn/fetus and children, with their undeveloped immune systems, who are the most damaged by vaccines. Sudden Infant Death Syndrome (SIDS) have been strongly linked to vaccines. However, Autism is the poster child for the anti-vaccine movement. And for good reason. In the 1970s autism affected 1 in 10,000 according to the CDC. Today, the CDC reports that 1 in 36 U.S. children are affected by Autism. By 2026, Autism will affect 1/2 of all U.S. children, at its current rate of increase. Make no mistake. Vaccines cause autism. And the federal Vaccine Court has recognized the connection. But, there’s a legal catch. In order to get compensated, parents cannot claim that vaccines directly caused their children’s autism, instead they must claim the vaccines caused the encephalopathy - which causes autism. It is a distinction without a difference. But, it’s not just the unborn/fetus and children who are permanently harmed by vaccines. Vaccines injure all who take them. And hundreds of millions of people do. Even pregnant women. What most people do not know is that vaccines can spread the very disease they are supposed to prevent. Vaccines have a long history of failure and fraud, dating back to the 1700’s. The basic science to support vaccinations has never been established, but the profits have. By the 1800s and early 1900s, mandatory vaccination campaigns maimed and killed unknown numbers. It was done, allegedly, in the name of fighting epidemics of otherwise beneficial and mild childhood ‘infectious diseases’. Infectious diseases become ‘epidemics’ where malnutrition, unsafe water, and untreated sewage exist. Epidemics subside when living conditions improve (http://www.dissolvingillusions.com/chapters). By the 1930s, epidemics of infectious disease had decreased by 90% and even more so by the time vaccines were re-introduced in the 1940's and onward. And although this was the direct result of improved living conditions, the vaccine industry took the credit. However, the public was not convinced. Health authorities ended mandatory vaccination in the 1940s. But the profits were too tempting and the pause was brief. Vaccines made a quick comeback in the 1950’s with the “polio” epidemic, which is now reported to actually have been DDT/pesticides and/or vaccine poisoning, also the suggested true cause of most microcephaly, currently being blamed on the Zika virus-carrying Aedes mosquito. As fraudulent claims of vaccine “safety and effectiveness” continue, the fact remains - vaccines cause disabilities and death. THE CASE AGAINST VACCINES continued: This is a sampling of source information, but not all that is available. 1. AMERICANS' ILL HEALTH: Americans' health is on a downward spiral. One in 5 children have learning and attention issues such as dyslexia and ADHD, 1 in 36 children has autism (1 in 2 by 2025 at the current rate of increase), 50% of people over 80 years of age have Alzheimer's, over 50 million Americans are living with an autoimmune disease, and over 100 million have pre-diabetes and diabetes. We have one of the highest incidence of infant mortality of the industrialized nations. Something has gone terribly wrong. The CDC now reports 1 in 36 children has Autism - http://healthimpactnews.com/2017/new-cdc-statistics-1-out-of-every-36-children-in-the-u-s-has-autism. 2. INFECTIOUS DISEASES VITAL FOR HEALTHY IMMUNE SYSTEM / CONFER PERMANENT IMMUNITY: Infectious diseases are relatively harmless childhood diseases, confer permanent immunity, and are a vital rite-of-passage for a healthy immune system, vaccines are not. Vaccines sabotage and short-circuit natural immunity, leaving those who vaccinate, vulnerable to the disease later on in life, when its symptoms may be serious. BORN BEFORE 1957? CDC admits that those who were naturally exposed to measles, mumps, and rubella have permanent immunity, which applies to all those born before 1957, Merck's MMR vaccines do not confer such protection, but rather can spread vaccine-strain disease. 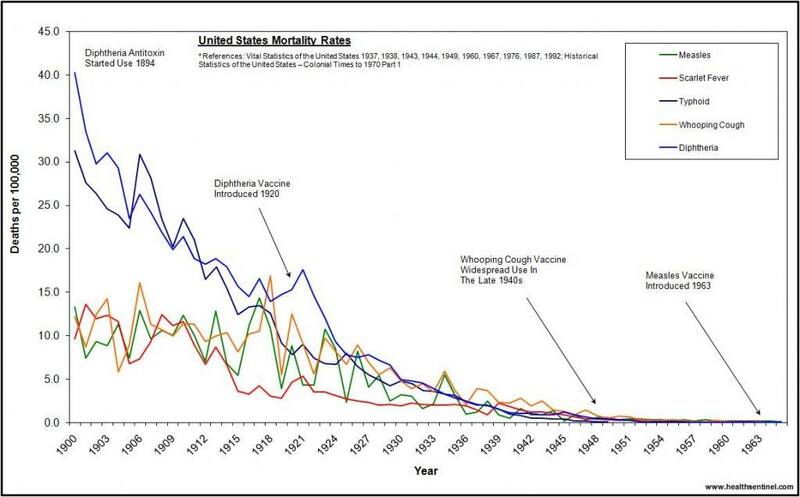 https://www.cdc.gov/vaccines/vpd/mmr/public/index.html "Birth before 1957 provides only presumptive evidence for measles, mumps, and rubella. Before vaccines were available, nearly everyone was infected with measles, mumps, and rubella viruses during childhood. The majority of people born before 1957 are likely to have been infected naturally and therefore are presumed to be protected against measles, mumps, and rubella." Vaccines can cause pervasive and serious injuries, including vaccine-created "atypical" diseases, immune system disorders, brain and nerve damage (including encephalitis-caused autism), infertility, and death (including SIDS), as documented on the U.S. government's own websites (The Vaccine Injury Table) and in over 400 studies. Vaccines sabotage the immune system, plus contain harmful toxins that can cause disability and death, as indicated on the U.S. government's own websites. CDC'S CONFLICTING ADVICE: The CDC recommends against vaccines for those who are not "feeling well", "moderately or severely ill", or a "weakened immune system"(https://www.cdc.gov/vaccines/vpd/should-not-vacc.html), yet highly recommends vaccines for people with Diabetes 1& 2, which the CDC defines as a chronic disease, affecting more than 100 million Americans (https://www.cdc.gov/diabetes/basics/index.html)? Vaccines themselves spread (shed) the very diseases and/or atypical diseases (altered forms, thereof) that they claim to prevent, which is information you can find in the vaccine package inserts, usually found in Section 5.8. "Risk of Vaccine Virus Transmission" This also explains the outbreaks of atypical measles around the world where vaccinations occur. MERCK'S SHINGLES VACCINE SPREADS SHINGLES, BUT SO DOES MERCK'S CHICKPOX VACCINE - as manufacturers of shingles vaccines are not protected from lawsuits, which begs the question, shouldn't the lawsuits be against both Merck's chicken pox and shingles vaccines? The CDC has never studied the incidence of autism in the unvaccinated population versus the vaccinated population -http://healthimpactnews.com/2012/vaccinated-vs-unvaccinated-children-and-autism-why-no-studies. This FDA document admits a SIDS link - http://www.fda.gov/downloads/BiologicsBloodVaccines/Vaccines/ApprovedProducts/UCM101580.pdf (page 11). HPV VACCINE / MERCK'S GARDASIL - CONSIDERED THE MOST DANGEROUS VACCINE: Merck Corp Accused of Fraud, Deceit and Negligence in US Gardasil Case - Shocking 88% of ovarian failure incidents have been attributed to Gardasil. This is considered the most dangerous vaccine on the market. There has been documented evidence that the HPV vaccine has caused more injuries than any other vaccination in history. Despite this evidence however, the HPV vaccination has continued to be hailed a success by the pharmaceutical industry and governments alike. http://vaccine-injury.info/military-shots.cfm Article highlights the Oral Polio vaccine and Anthrax vaccine. SUICIDES AND VACCINES in military: The anti-Malaria drug and its side effects mimic PTSD due to "mefloquine toxicity", much like Agent Orange, known since 1989 by The World Health Organization (WHO): The effects of the anti-Malaria drug impacts all who take it, the military and the public. Vaccines contain harmful toxins that can cause disability and death, as indicated on the U.S. government's own websites, including thimerosal / mercury (still in some flu vaccines), aluminum, formaldehyde, glyphosate (main ingredient in Monsanto's Roundup), polysorbate 80, sodium borate (borax), determents, monosodium glutamate (MSG), squalene, aborted human fetal tissue, fetal bovine extract, animal viruses, monkey kidney tissue, glutaraldehyde, and more. ALUMUNIUM IN MANY VACCINES: There is no known safe level of exposure. May be more toxic than Mercury. MERCURY IN SOME FLU VACCINES: Many flu vaccines still contain mercury, a neurotoxin for which there is no safe limit. CONTAIN TOXIC MERCURY PRESERVATIVES - Mercury, for which there is no safe level of exposure, is still in many flu vaccines . Even non-mercury flu shots can contain mercury: "Minutes from a government meeting on vaccines reveals that even in these single dose flu vaccines sometimes “thimerosol is present in trace amounts as a result of the manufacturing process.”” http://healthimpactnews.com/2014/government-pays-damages-to-vaccine-victims-flu-shot-most-dangerous-with-gbs-and-death-settlements. TETANUS SHOTS LACED WITH STERILITY DRUGS IN KENYA, AFRICA, IS TRUE: In 2014, doctors from the Kenyan Catholic Doctors Association discovered that the tetanus vaccinations that had been administered to 2.3 million girls and women by the World Health Organization and UNICEF had been contaminated with the anti-fertility hormone hCG. For the MMR II physicians package insert, you can find it at the top of page 6. There are no federal government studies nor industry studies comparing vaccinated and unvaccinated populations. THE MAWSON STUDY: COMPARING VACCINATED AND UNVACCINATED CHILDREN "This study compared the birth histories and health outcomes of vaccinated and unvaccinated children and sought to determine the association, if any, between vaccination, preterm birth and neurodevelopmental disorders (NDD). Vaccination (i.e., receipt of one of more of the recommended vaccines) was significantly associated with NDD, while preterm birth without vaccination was not. Preterm birth coupled with vaccination, however, was associated with a synergistic increase in the odds of NDD, suggesting the possibility that vaccination could precipitate adverse neurodevelopmental outcomes in preterm infants. These results provide clues to the epidemiology and causation of NDD but question the safety of current vaccination programs for preterm infants. Further research is needed to validate and investigate these findings in order to optimize the impact of vaccines on children’s health." 6. VAERS - CDC's UNDER REPORTING SYSTEM: U.S. doctors are not required to report vaccine injuries. The CDC instituted a "passive reporting system" of adverse reactions from vaccinations (VAERS), approximately 30,000 annually, and admits that “underreporting” is rampant, estimated to be as low as 1-10%. 7. CONGRESS / VACCINE COURT / NO LIABILITY FOR VACCINE MAKERS: Vaccine makers are shielded from all liability by the federal VACCINE COURT, set up by Congress in 1986 to shield vaccine makers from liability, which strikes many as unconstitutional, as it effectively denies the public access to both federal and state courts. Thus far, the Vaccine Court has awarded over $4 billion to victims of vaccines. https://vipba.memberclicks.net/the-vaccine-program & http://www.uscfc.uscourts.gov/vaccine-programoffice-special-masters . Plus, the Vaccine Court uses U.S. Department of Justice (DOJ) attorneys to defend HHS and the industry against the public. "The Vaccine Industry was going out of business due to lawsuits from vaccination victims until Congress came to its rescue in 1986.” http://www.globalresearch.ca/vaccines-threads-of-corruption/5499738. HPV VACCINE / MERCK'S GARDASIL LAWSUIT - MOST DANGEROUS VACCINE: Merck Corp Accused of Fraud, Deceit and Negligence in US Gardasil Case - Shocking 88% of ovarian failure incidents have been attributed to Gardasil. This is considered the most dangerous vaccine on the market. There has been documented evidence that the HPV vaccine has caused more injuries than any other vaccination in history. Despite this evidence however, the HPV vaccination has continued to be hailed a success by the pharmaceutical industry and governments alike. Dr.Paul Offit, a major proponent of vaccines and co-inventor of the rotavirus vaccine, is reported to have made millions from vaccines. 10. DISTURBING HISTORY OF VACCINES / GOV'T CORRUPTION / WHISTLEBLOWERS: The history of vaccines is a history of fraud and filth. Starting in the 1700s, the medical profession, drug makers, and government officials first conspired to make huge profits at the expense of the public's health. They claimed credit for the decrease in severity of infectious diseases, when the real cause was improved sanitation and living standards. THE POLIO EPIDEMIC is now suspected to actually have been DDT and/or vaccine poisoning (which are also the suggested true causes of most microcephaly, currently being blamed on the Zika virus-carrying Aedes mosquito). CDC CORRUPTION, AUTISM, AND WHISTLEBLOWERS: The federal government purchases more than half of all vaccines sold in the United States, including the mumps vaccine. CDC and its members own more than 50 patents connected to vaccinations. According to CDC’s own lead scientist on vaccines, Dr. William Thompson, the CDC has long known about the link between autism and vaccines (since 2002), but personnel destroyed documents and mislead the public. In addition, Merck whistleblowers charge that their company also committed rampant fraud with their measles vaccine. How can the CDC be fairly prosecuted when the DOJ represents the HHS/CDC in the Vaccine Court? THE SIMPSON-WOOD MEETING - Selected vaccine authorities from CDC, FDA, and manufacturers discuss, in a closed meeting, the possibility of neurodevelopment disorders resulting from vaccine components - http://www.aapsonline.org/vaccines/cdcfdaexperts.htm. Some anti-vaccine website have been targeted as "security risks", such as https://healthimpactnews.com. Please ignore the warnings and proceed to the website. ANTI-VACCINE ORGANIZATIONS: Some of these website are confusing, but they contain substantial information. Some of these organizations are for informed consent, while others are anti-vaccine, which would describe this website, as well. Local: Pennsylvania Coalition for Informed Concent - http://informedconsentpa.org EXCELLENT GROUP! UK http://www.activistpost.com/2015/06/feds-sanitize-vaccine-injury-reporting.html Catherine Frompovich- Over $3 Billion has been paid to vaccine injury victems. Catherine Frompavich writes about the Vaccine Injury fund and finds some strange anomalies in the Fund’s accounting, indicating the fund collected far more from vaccine recipients than has been paid out. VAERS https://vaers.hhs.gov/data/index It is believed that from 1% to 10% of adverse events are actually reported. The web site tries to discourage users of the data from actually connecting actual adverse injuries reports to true injuries. From the web site: Guide to Interpreting VAERS Case Report Information - When evaluating data from VAERS, it is important to note that for any reported event, no cause-and-effect relationship has been established. Reports of all possible associations between vaccines and adverse events (possible side effects) are filed in VAERS. Therefore, VAERS collects data on any adverse event following vaccination, be it coincidental or truly caused by a vaccine. The report of an adverse event to VAERS is not documentation that a vaccine caused the event. Aluminum Sulfate-chemical name: Sulfuric Acid (an extremely carcinogenic and corrosive acid that is especially dangerous when mixed with water) and Aluminum salt (a neuro-toxin). Formaldehyde-a carcinogen and a mutagen (an agent that causes genetic mutation and is often associated with cancer). According to the CDC it is extremely carcinogenic to humans. Thimerosal-(Ethylmercury) Thimerosal is 49.6% Mercury, which is the second most toxic element on earth next to plutonium and is a neuro-toxin. Acetone-A clear volatile liquid used as a solvent for paints and oils and also as a chemical in plastics and manufacturing. Monosodium Glutamate (MSG)–an excitotoxin which overexcites the brain cells to the point of damage or death, causing brain damage to varying degrees. Human Serum Albumin-a human protein, but it can only be broken down when digested. When it is injected it can cause auto-immune disorders and allergies. Benzethonium Chloride-a carcinogen (can cause cancer) and a mutagen (can cause genetic mutations). Monkey Kidney Cells-monkey cells carry viruses that can cause cancer and diseases. Calf Serum-baby cow blood after the red blood cells are removed. Can be very contaminated with phage (viruses that infect bacteria). Polysorbate 80-an emulsifier and a surfactant. Can cause infertility and an increased risk for stroke and heart attack. Ethanol-Ethyl Alcohol. Can cause headaches, drowsiness, vomiting, and unconsciousness. Phenol–Carbolic Acid, a corrosive acid listed by the CDC as an extremely hazardous substance in which you should AVOID ALL CONTACT! Can cause cough, dizziness, headache, nausea, vomiting, unconsciousness, convulsions, coma, and death. Glutaraldehyde-a liquid chemical used as a disinfectant, biocide, hardening agent, preservative, and embalming agent. According to the CDC it can cause asthma, breathing problems, allergies, and coughing. Ammonium Sulfate– blue green powder used in chemistry. Toxic chemical and can cause drowsiness, nausea, vomiting, and difficulty breathing. Vaccine Early Reaction Symptoms: http://www.nvic.org/Ask-Eight-Questions.aspx If you or your child experiences any of the symptoms listed below in the hours, days or weeks following vaccination, it should be reported to VAERS https://vaers.hhs.gov/index.